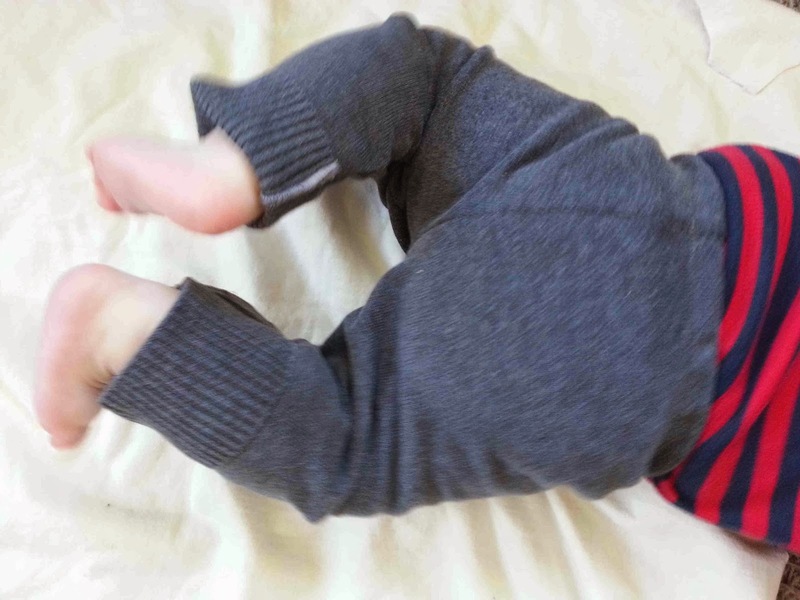 Are you wondering what happened with Kid's Clothes Week? How did I manage to go on and on about how I was going to participate, and then only post a few little items? Well, I didn't finish as much as I'd hoped to, but I did manage to do more than I've posted. We had a death in the family, and family time trumped KCW, as it should. I still have a couple of things to share with you today, and a half finished pair of pants that might not ever see completion. 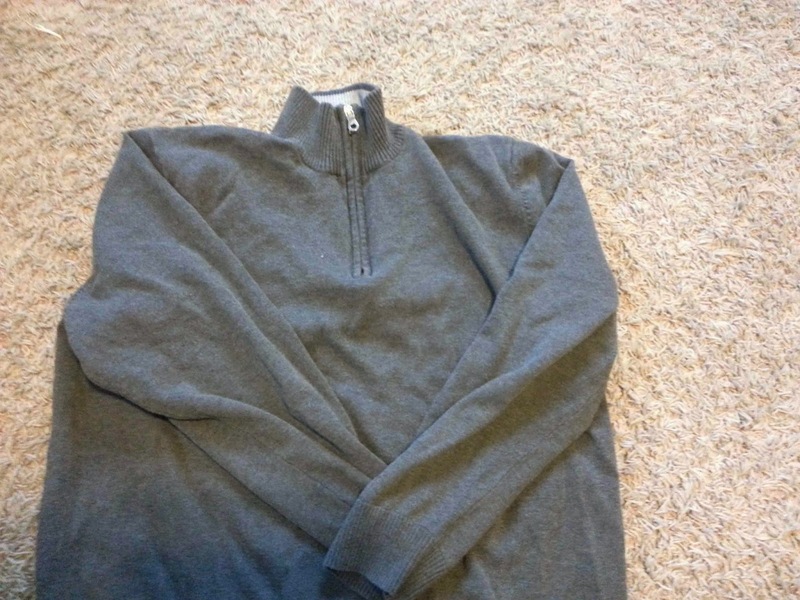 First up, another sweater refashion. This time it was my husband's old sweater. It never fit him right, and was starting to show signs of wear. 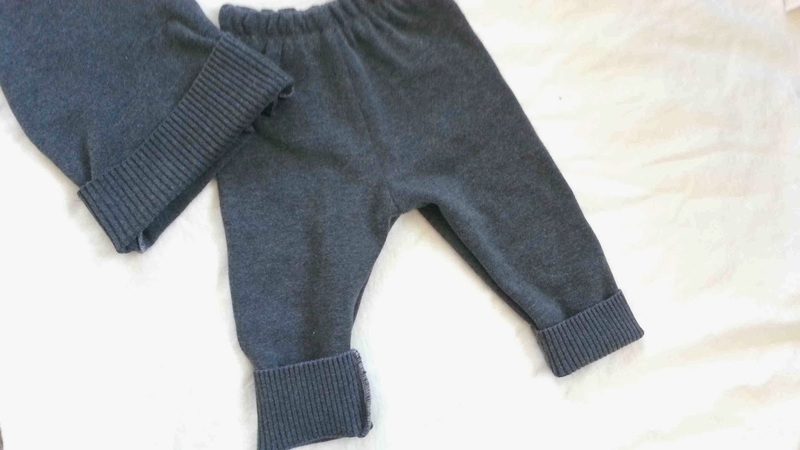 So rather than throwing out the sweater, I took advantage of the sweater knit material, and made a slouchy beanie for Gus, and a pair of cozy little leggings. 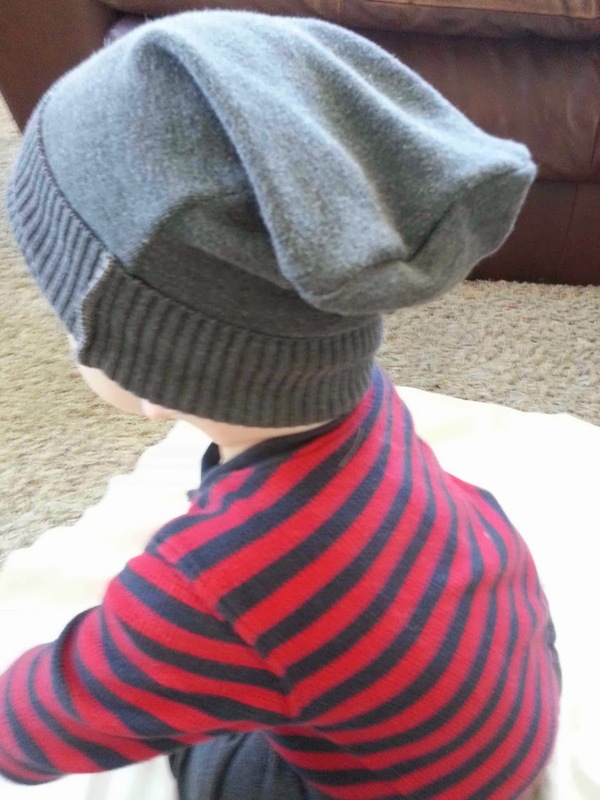 The beanie was made using Max California's free pattern. The pattern is for a toddler, but my baby has a MASSIVE head. 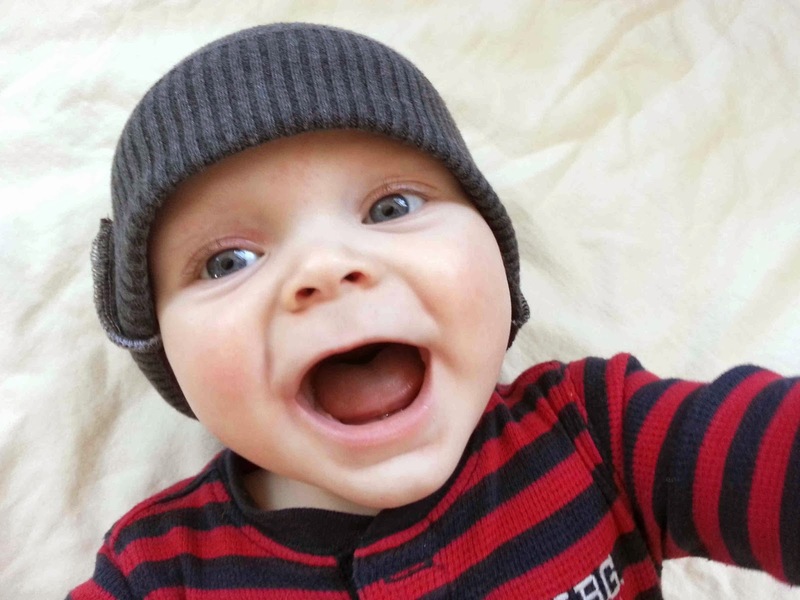 I used the waistband of the sweater to serve as the cuff of the beanie. Super easy. 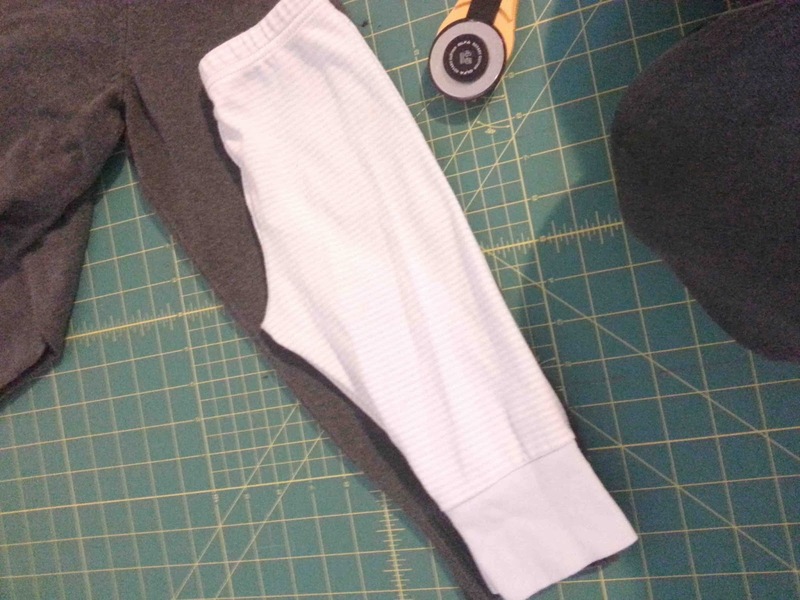 The leggings were made using a pair of existing pants as a guide. Also a very simple project. 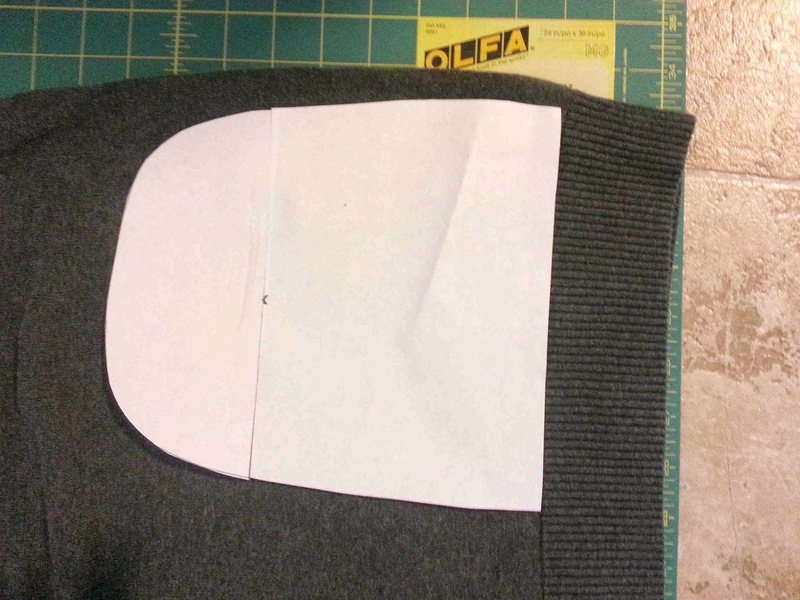 I cut the pant legs out of the sleeve pieces, and the cuffs of the sleeve serve as a fold up cuff for the pants. Super fast, simple, and free projects.